The bitcoin price has increased nearly 50% since January 1. 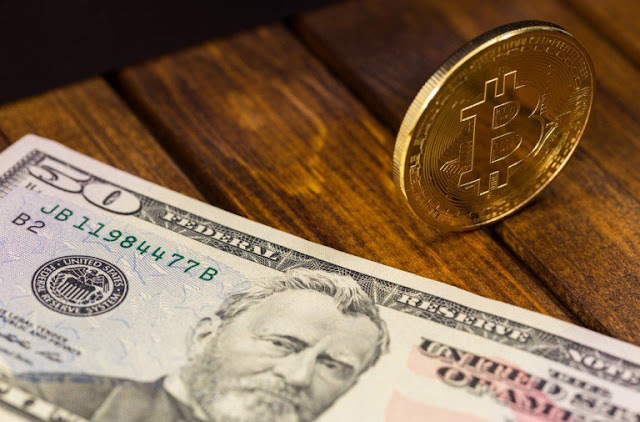 While the year has been tumultuous economically for the world, an upcoming network event called a Bitcoin halving could have had price implications and led to the big gains for Bitcoin price. Though, based on the only historical halving, which took place in 2012, the unsurprising nature of the halving event could limit price volatility. At least for now. What is the Bitcoin halving? Using computers to contribute transaction data to the bitcoin blockchain, miners must provide a proof of work to receive a Bitcoin block reward for cracking codes and mining Bitcoin. When Satoshi Nakamoto implemented the protocol, the block reward was 50 BTC. It’s set to drop to 12.5 BTC tomorrow. The reward will have until the 21 millionth bitcoin is mined. Those most heavily invested in Bitcoin have been aware of the forthcoming event, which could tame the effect the halving has on prices. On social media and in forums, bitcoiners celebrate the possibility of a price increase. In reality, anything is possible. The halving does portend a certain degree of uncertainty; however, the 2012 example demonstrates a steep price increase in the months following. Assuming the vector of Bitcoin is progressing faster, then it might be mere weeks before price repercussions are felt. The price of Bitcoin before the first block reward halving from 50 BTC to 25 BTC in 2012 was $12.65. A year later it reached nearly $1,300. If the same price action is to be expected, that places Bitcoin at $65,000 per coin in August of next year. The next halving is predicted to take place sometime around late 2019 or early 2020. Headlines throughout the internet will push their various narratives. They will pedal panic, concern and also promote Bitcoin as if it were a Ponzi scheme. Bitcoin, an experiment, faces uncertain ground amid the Bitcoin halving, certainly. But, there’s no reason to make drastic decisions. If digital currencies are something that interests you, then experimenting with it as well can help you understand use cases. You might even make money along the way. But the future of Bitcoin is as uncertain as its rocky past has been. Through it all, the price has remained true to the nature of the deflationary coding. That is made clear on social media and price charts. Bitcoin fell $100 in a day in late June. The Bitcoin price the day of and after the halving is uncertain. Looking to 2012 to demonstrate what to expect also leaves something to be desired. The crypto-currency has changed a lot since that time. A lot has happened since the Bitcoin halving in 2012. Most of Bitcoin’s history has unfolded since then.